On Tuesday 5 February, during the meeting of the Cabinet of Ministers, the government expressed its support and approved Ieva Jaunzeme to the post of Director-General of the State Revenue Service (SRS). Ieva Jaunzeme was nominated to the post by Jānis Reirs, Minister for Finance after she had won in an open recruitment competition. 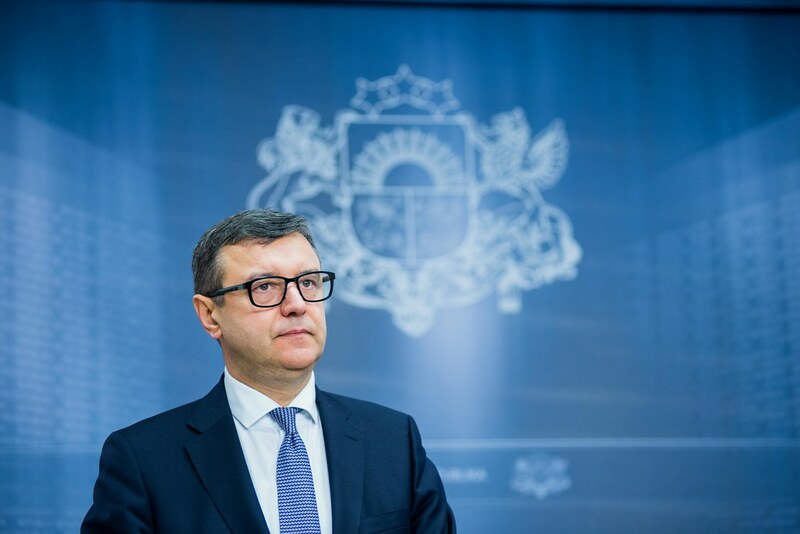 "I.Jaunzeme has sound managerial expertise, she is decisive and energetic, and she has a strategic vision that she has already demonstrated when she worked in leading positions in the public administration,” said Jānis Reirs, Minister for Finance. "I believe that I.Jaunzeme should build on the work done by the former heads - skilfully develop the function of a servicing institution for honest taxpayers, but strictly address those who deliberately avoid paying taxes,” says the Minister for Finance. The competition for the post of Director-General of the SRS was launched on 17 August 2018 and the participants were evaluated in three rounds. The documents submitted by the applicants and their compliance with the minimum requirements were examined, as well as an analysis of potential risks to reputation. The competition commission heard the applicants' motivation to take up the vacant position and examined each person's knowledge of the structure of the public administration, activity, budget planning, administrative processes and scope of the institution. Finally, the applicants' managerial competence was evaluated, and attention was paid once again to the reputation of the finalists and potential risks to reputation. When analysing what has been observed during the competition, there was a general agreement among the members of the commission about convincing performance of Ieva Jaunzeme and her suitability for the post of Director-General of the SRS. The winner of the recruitment competition has so far worked in the Ministry of Economics in the post of the Head of Administration and as the State Secretary of the Ministry of Welfare. Jaunzeme has managed the Competition Council for six years and served as an advisor to the Permanent Representation of the Republic of Latvia in the European Union and was the Director-General in Latvia's largest organization representing employers' interests - the Latvian Employers' Confederation for four years. The newly appointed Director- General of the SRS has earned a Master's Degree in Business Administration and holds a diploma of economist from the Faculty of Economics, which, by decision of the Academic Information Centre, is equal to a professional Master's Degree. She has a good command of two foreign languages – English and Russian and basic knowledge of German and French. This is already the eighteenth recruitment competition with a centralised selection of senior level managers, ensuring an open, fair and professional selection of candidates. Through such recruitment competitions organized by the State Chancellery, the heads have been selected for 11 state institutions of direct administration, by attracting and motivating high-level professionals for work in the public administration.